It is 3.00 p.m. and the requisite quorum is present and I now call the meeting to order. I welcome you to the 33rd Annual General Meeting of your Company. The Annual Report 2013-14 was sent electronically to the shareholders who had registered their e-mail IDs and physically to the rest. Arshiya’s Business model basically concentrates around FTWZ and Rail Operations. The warehousing space requirement in India is expected to grow at a Compounded Annualized Growth Rate of 9%. 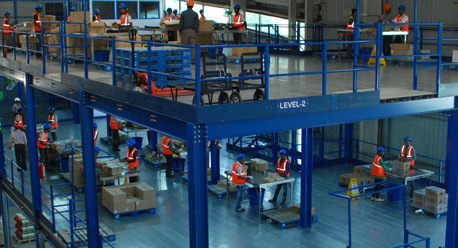 There are three main sectors which drive warehousing space in India, namely Manufacturing, consumption and EXIM. The highest growth amongst these is expected to be in the EXIM sector @ 13%. India’s containerized traffic in TEUs has grown at an annual average growth rate of 11%, fueling robust demand in logistics infrastructure. With the emergence of the new Pro- Business Government at the Center, increasing PURCHASING MANAGERS INDEX, with GDP levels at 3 years high and overall strengthening of Indian economy, we not only expect the estimated industry growth to fulfill, but are further optimistic over the robust growth especially in logistics and warehousing sector. Your Management has already initiated a dialogue with the Government for removing these bottlenecks and the follow up is being pursued vigorously. Hopefully, these issues will be resolved amicably soon. A comprehensive Customer Awareness Program undertaken by your Company and focus of the Central Government in encouraging the SEZ/FTWZ is also expected to yield positive results. In the last fiscal other Businesses like Rail, Northern FTWZ and Industrial & Distribution Hub business vertical also suffered due to regulatory issues and delays in policy especially with regards to FDI in Retail, GST, Removal of RC-05 haulage in Rail tariff and the general economic slowdown. These businesses have also been approved under CDR scheme and the Management is confident that, losses in the Rail, Northern FTWZ and Industrial & Distribution Hub business will soon be a thing of the past. 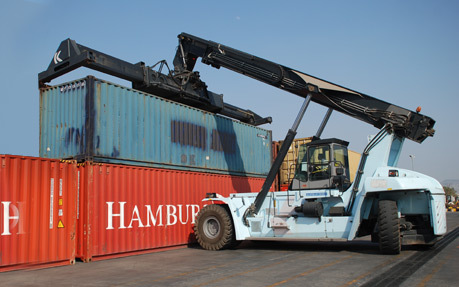 During the year the operations of Northern FTWZ and Industrial & Distribution Hub have remained sluggish due to the regulatory issues being faced by these operations. 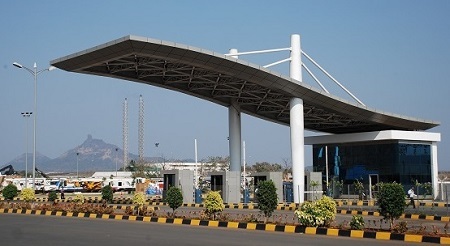 Accordingly it was decided to convert Northern FTWZ business into sector specific SEZ pertaining to Chemicals/Pharmaceuticals/Bio-technology and Industrial & Distribution Hub into another sector specific SEZ for Hardware Manufacturing/Electronic along with the establishment of Inland Container Depot. The merger of these two companies with Arshiya Transport & Handling Ltd, a wholly owned subsidiary of Arshiya Limited. was undertaken. The requisite Scheme of Amalgamation has been filed with the Hon’ble Bombay High court with appointed date as January 01, 2014 and the approvals from concerned authorities have been applied for. In the last fiscal your company’s results were severely impacted due to the interest burden thereby affecting the normal day-to-day operations. In the context of tepid sales, potential revenues, unchanged fixed costs like interest burden, office rentals and employee costs to name a few, your Management continued with the cost cutting measures like terminating a few lease arrangements and substantially reducing rentals, employee cost etc. Your Management strongly believes in the prospects of your Company and has voluntarily infused funds for operations by way of conversion of 52,50,000 warrants in FY 2013-14 and 53,00,000 in FY 2014-15 into equity shares into warrants @ Rs.145 per warrant. Further, 65.70 Cr. was infused by subscription of shares by the promoters under the CDR Scheme. As a result of vague government policies, taking into account certain critical issues, like debt servicing, cash flows etc., your Management considered it absolutely necessary and advisable to undertake a Corporate Debt Restructuring (CDR) exercise. The same was approved in June 2013. Despite adversities of various nature, the Company continues to be in operational profits, and witnessed operational profits of 4.11 crores (excluding interest and depreciation) for the Q1 2014-15, while I am not authorized to share numbers at this stage, I can assure you we are very positive on the performance in the remaining 3 quarters. Our continual efforts at cost optimization, improving business by bringing in new customers have started to yield results. I am confident that the pending regulatory issues will also be resolved during the year so that business growth is ensured. Dear Shareholders, my fellow Directors on the Board and I can assure you that all necessary efforts are being taken to turn around the fortunes of your Company and make it scale new heights. We also will endeavor to overcome all adversities within this financial year. On behalf of Management, I thank you for your support and reposing your faith in your Company and its management.